What kinds of drive method does an elevator have? Traction driven elevator – the lift rope is driven by friction driven by the drive wheel rope groove of the main engine. Parliamentary forced drive elevator — non-friction elevator driven by chain or wire rope suspension. 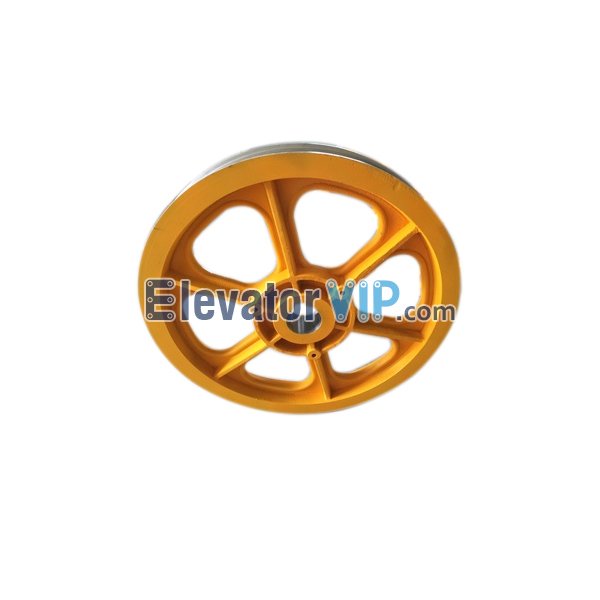 Press hydraulic elevator – hydraulic driven elevator. Traction drive is driven by a traction wheel. The steel wire rope is suspended on the traction wheel. The car is suspended at one end and the heavy device at the other end. The winding way of the elevator traction wire rope mainly depends on the position of the traction unit, the rated load and the rated speed of the car. When selecting and determining the rope winding mode, high transmission efficiency, reasonable energy consumption and long service life of wire rope should be considered. The maximum effective traction force can be generated in the towing wheel groove is the friction coefficient between the steel wire rope and the wheel groove and the function of the steel wire rope around the Angle of the towing wheel. * Change the shape of rope groove and material of rope groove to improve the friction coefficient. Environment and maintenance ii. Reel drive is an early type of elevator’s driving, except for hydraulic drive is all drum drive. This type of drum is usually driven by two sets of suspended wire ropes, one end of which is fixed to the drum and the other end is connected to the car or the other end. One set of wire ropes is wound clockwise around the drum, while the other is wound counterclockwise around the drum. Therefore, when one set of wire rope wound out of the drum, another set of wire rope wound into the drum. Posted in Technology and tagged causes of wear on hoist rope, causes of wear on the elevator traction wheel, cheap elevator traction machine online, elevator hoist rope for sale, elevator traction machine factory in China, elevator traction machine manufacturer, elevator traction machine supplier, factors influencing the life of elevator traction machine, factors influencing the life of elevator wire rope, How many ways does the elevator drive, How to improve the driving force of Traction Machine, hydraulic driving elevator, positive driving elevator, traction driving elevator.